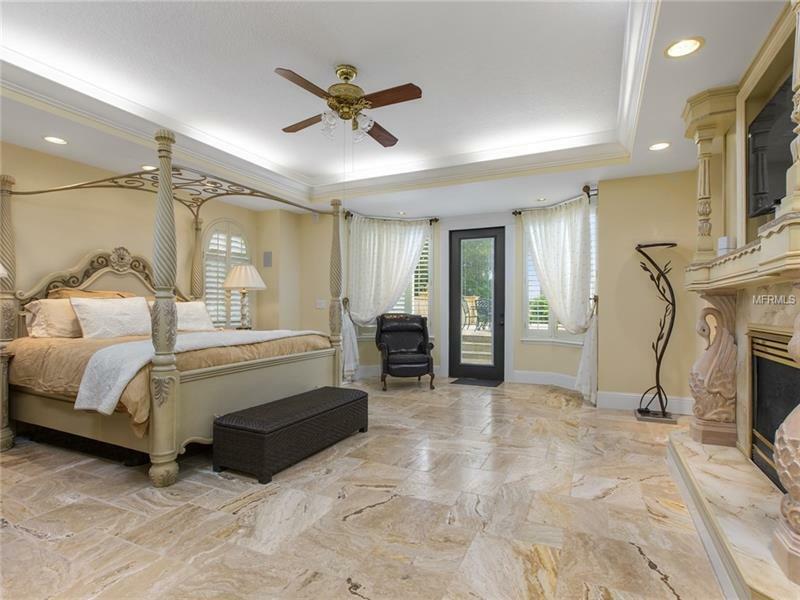 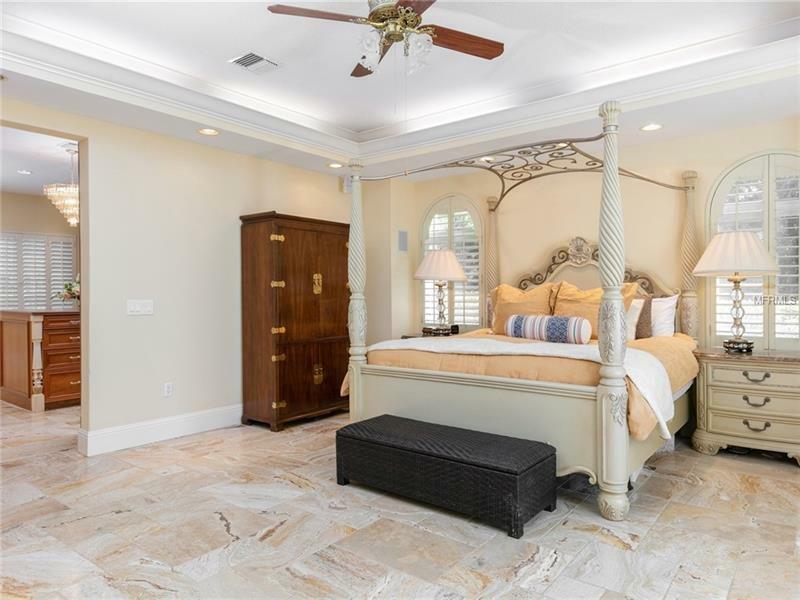 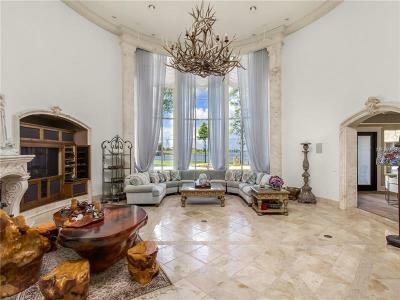 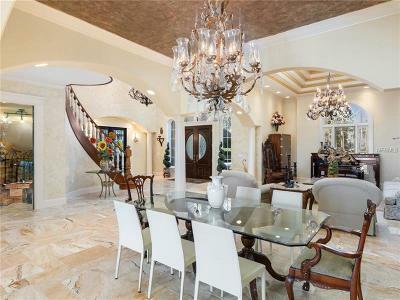 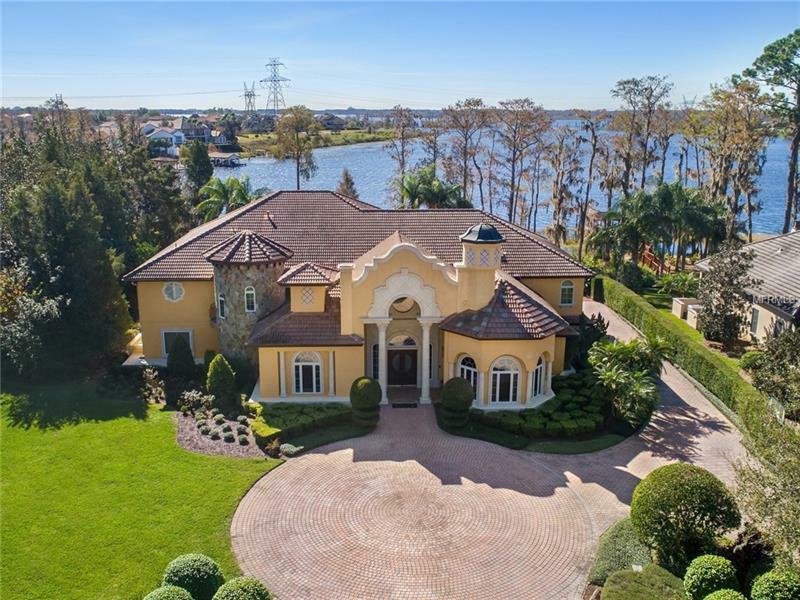 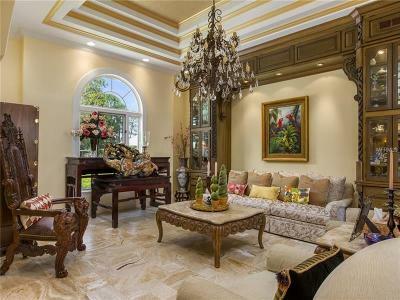 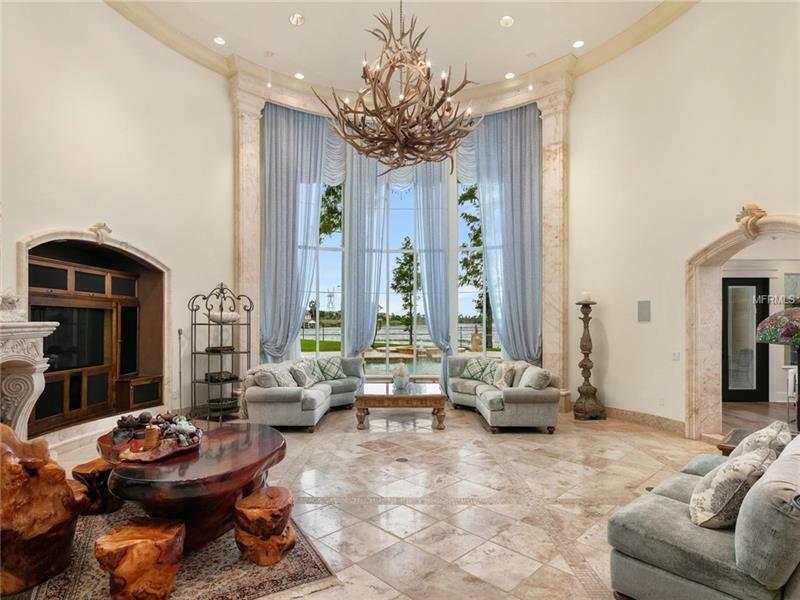 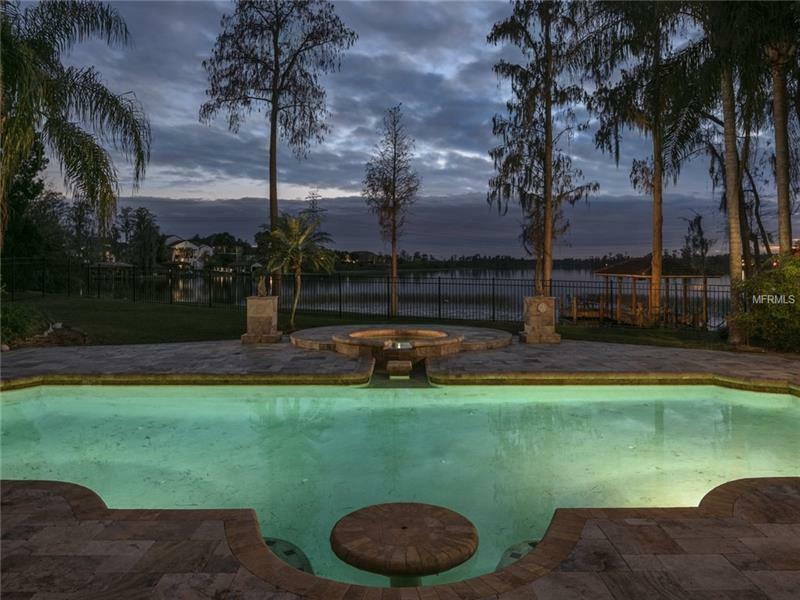 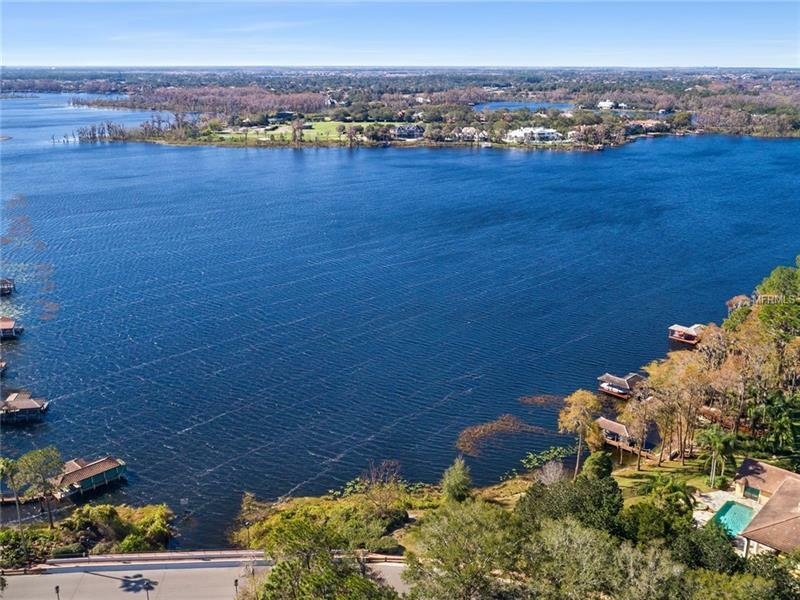 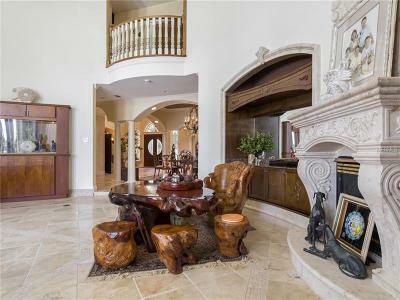 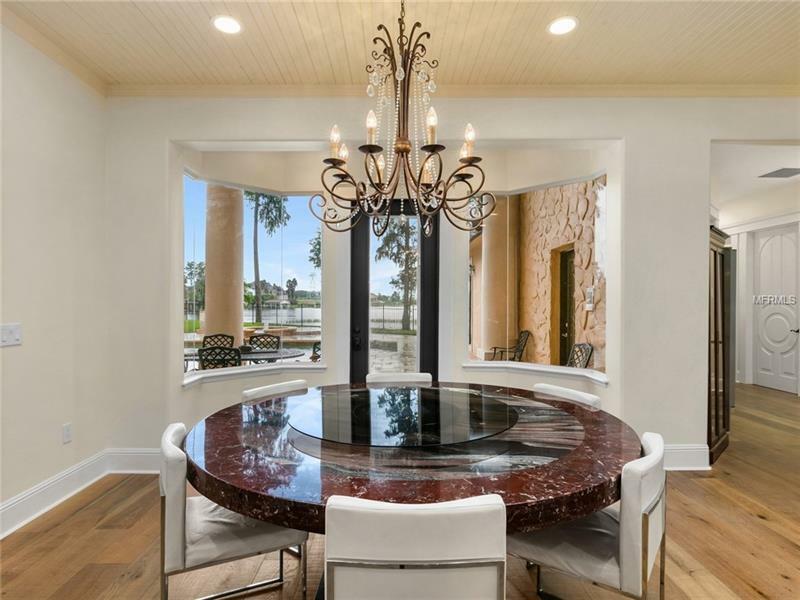 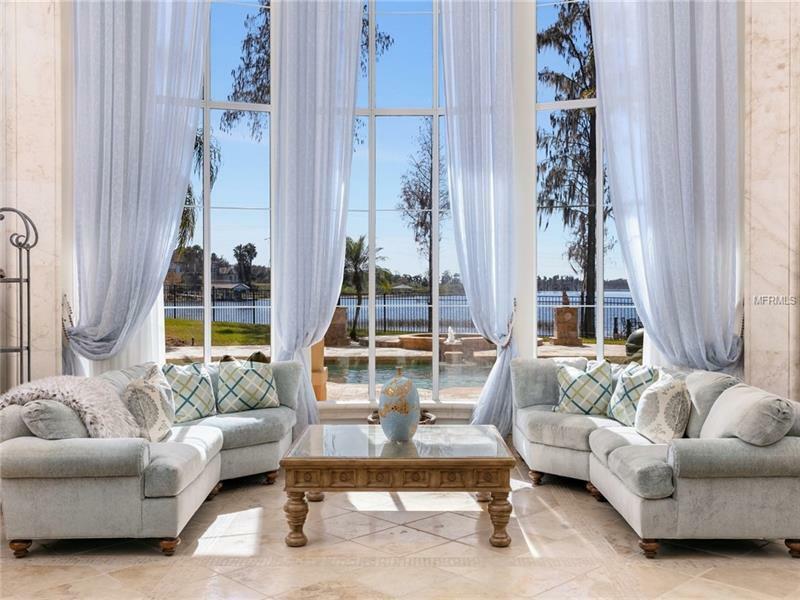 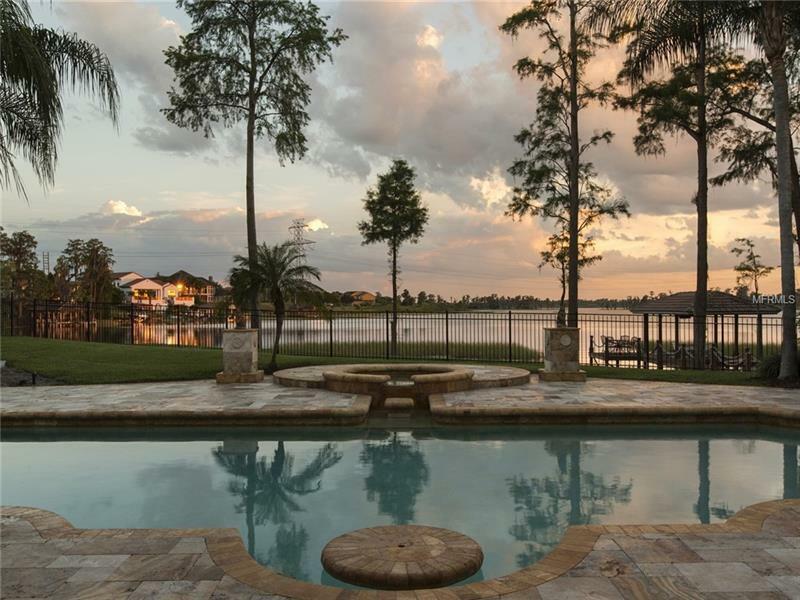 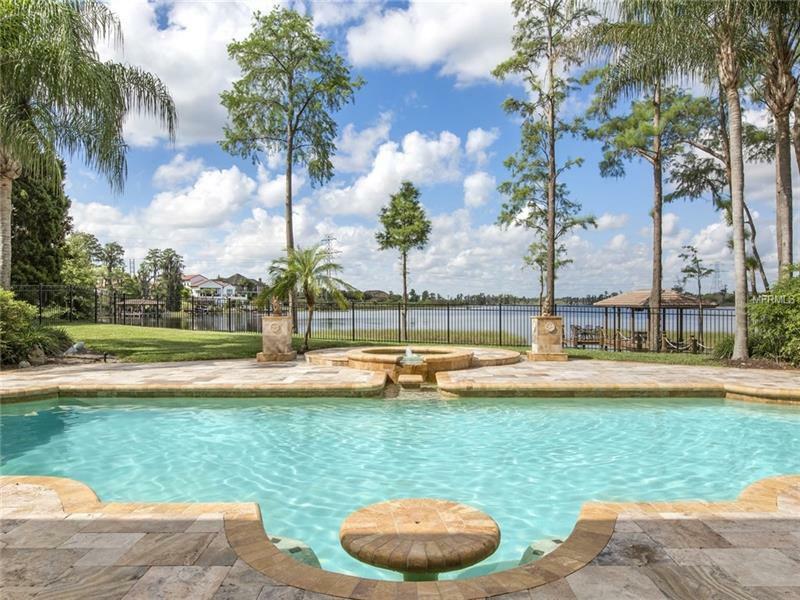 Sited directly on the Butler Chain of Lakes and located within the gated enclave, Isle of Osprey, in renown Bay Hill Country Club, this home exudes a spirit of elegance derived from its Mediterranean architectural influences. 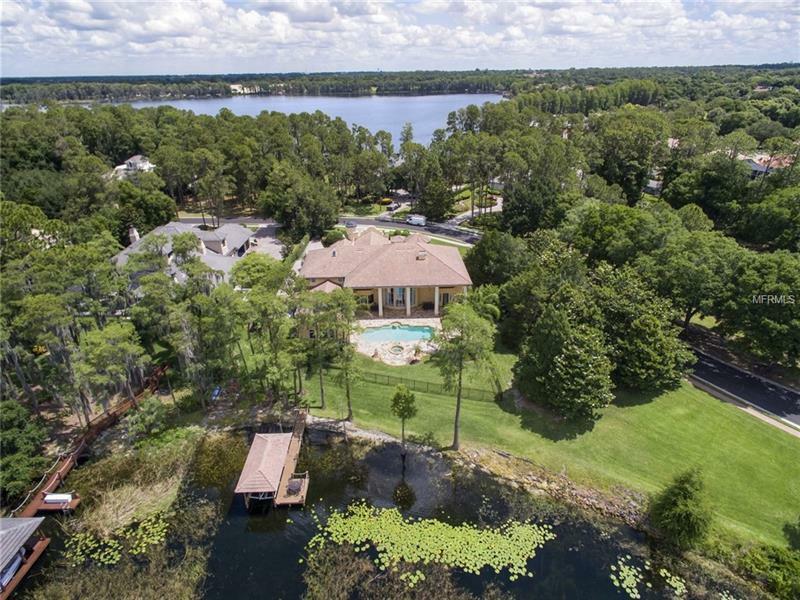 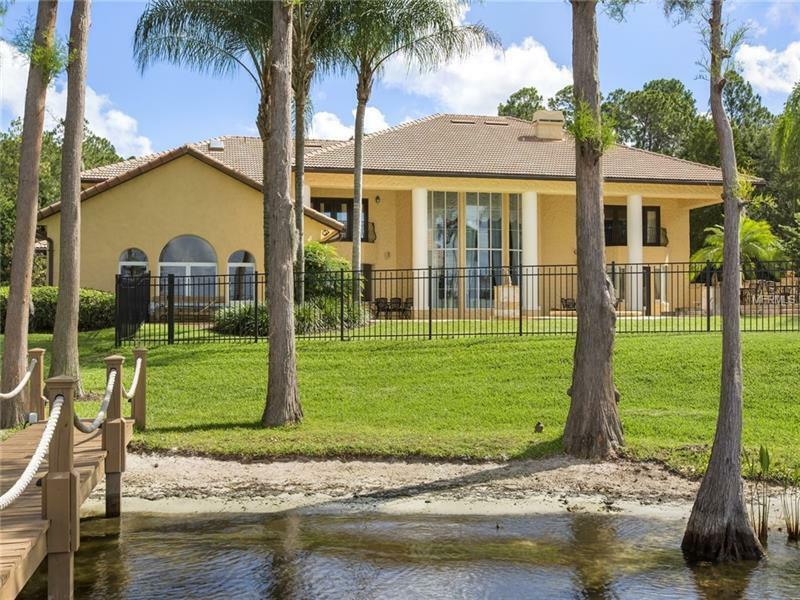 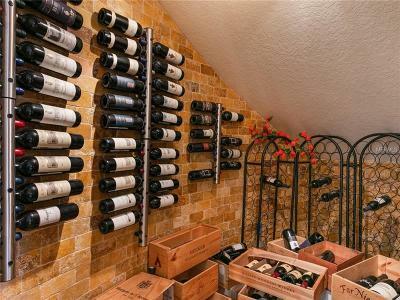 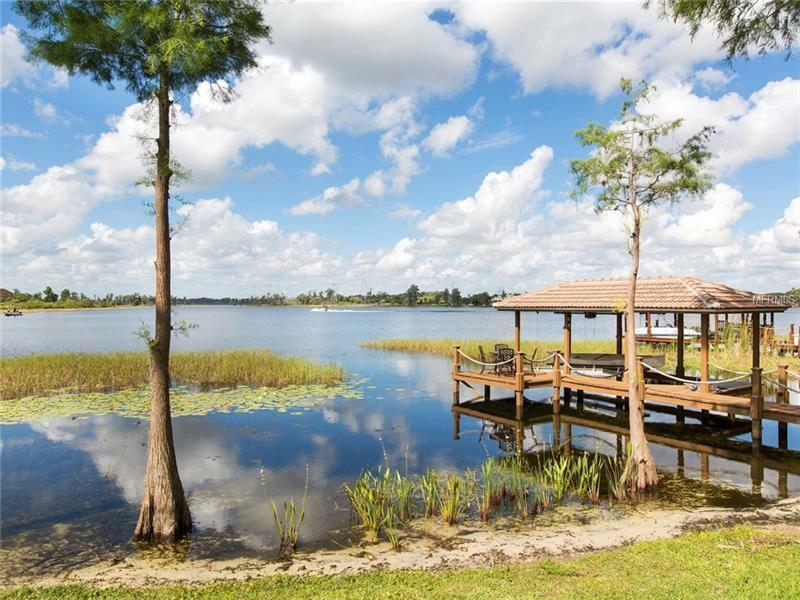 This exceptional home is sited on a 1.1 acre high and dry home site with 230 feet of lake frontage. 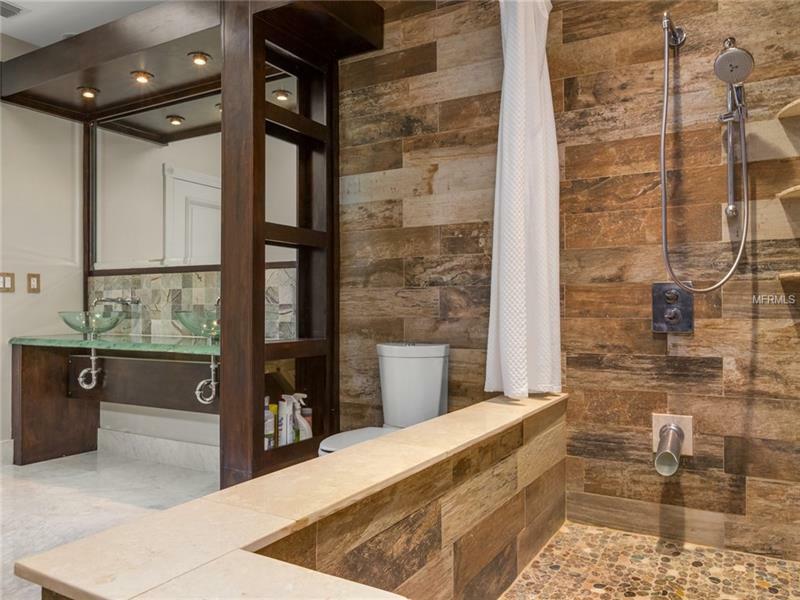 With no neighbors on one side for privacy and recently updated this stunning plan is perfect for family living and entertaining. 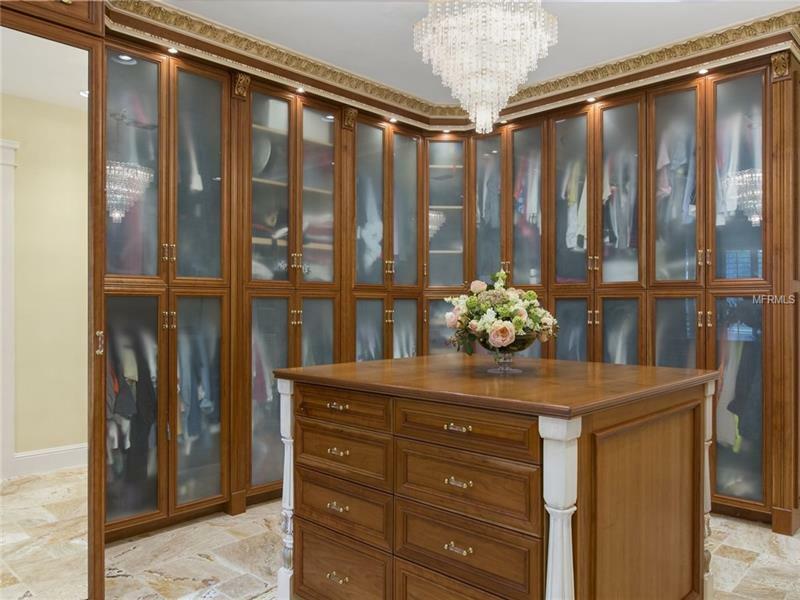 The beveled glass and solid wood double doors create a refined entry. 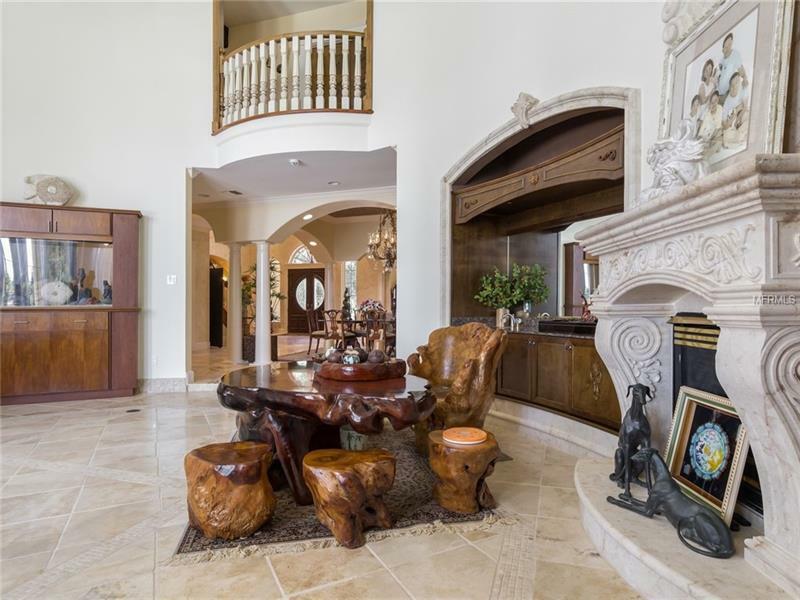 Opening to the two story foyer and hand crafted floating stairway, the timeless elements of stone flooring, elegant coffered ceilings, and expansive lake views further define the arrival experience. 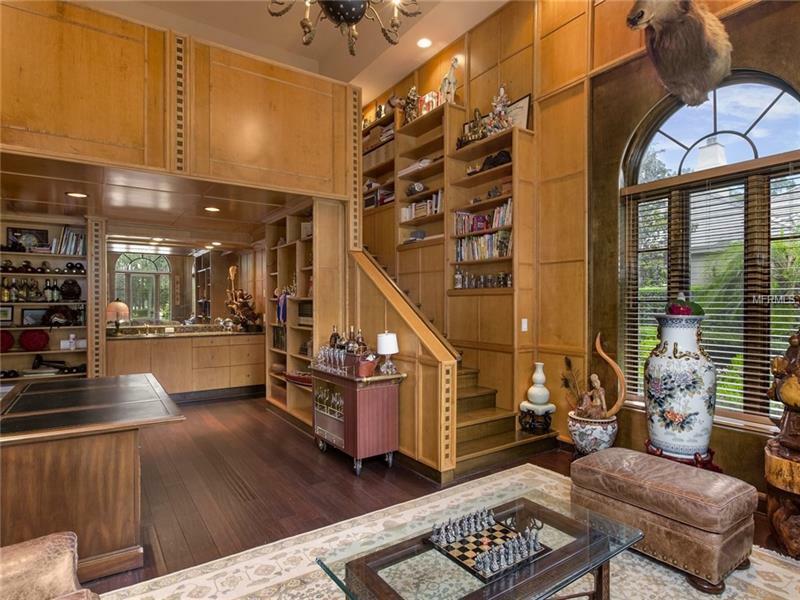 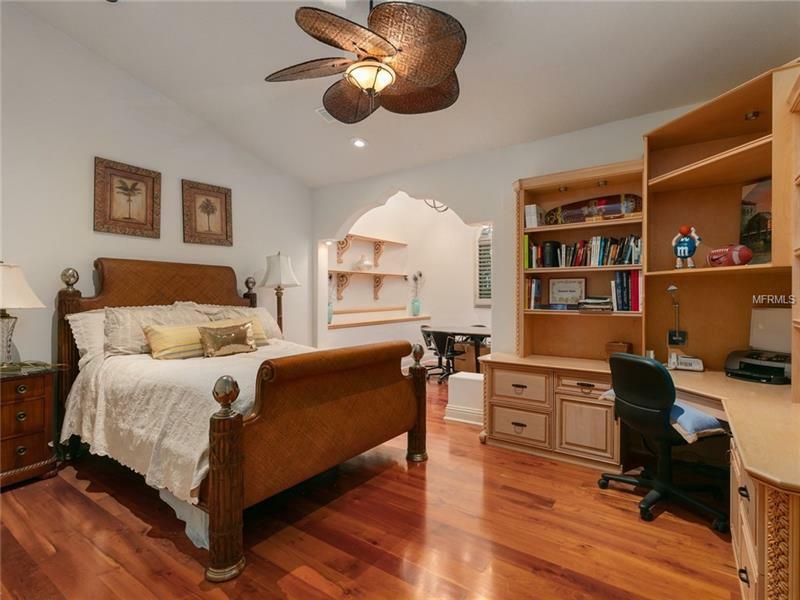 The private home office/library is nicely finished with custom built ins and hardwood flooring. 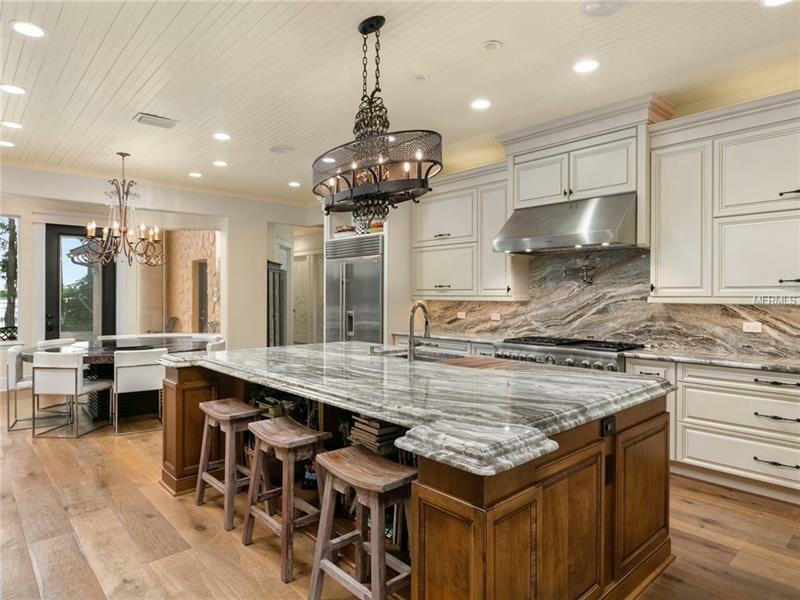 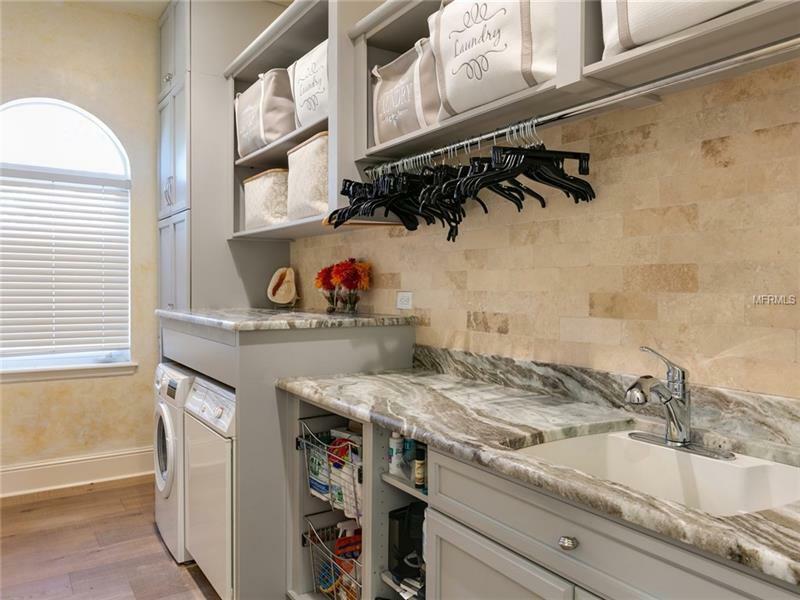 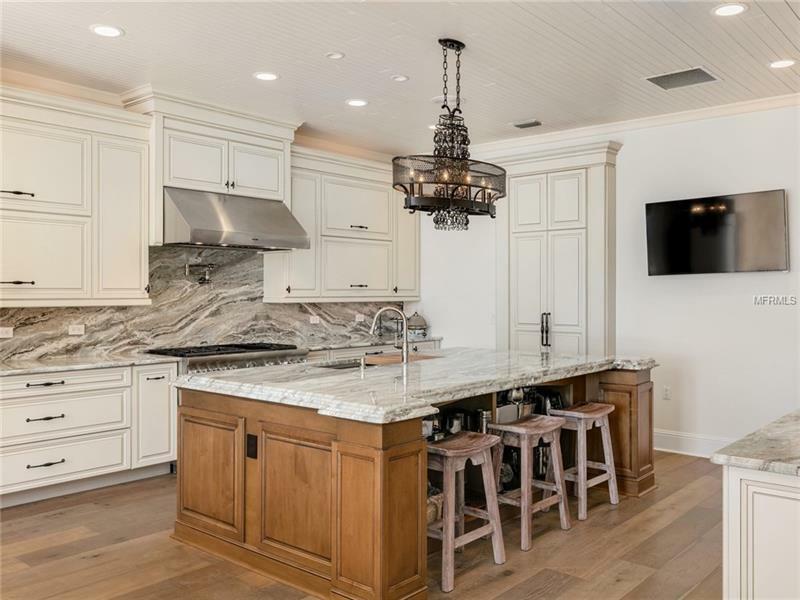 At the center of the home, the completely renovated kitchen is a chefs dream; wood flooring and massive working island combine function and beauty with Thermador & Sub Zero appliances, quartz counter tops, custom cabinetry, and walk in pantry. 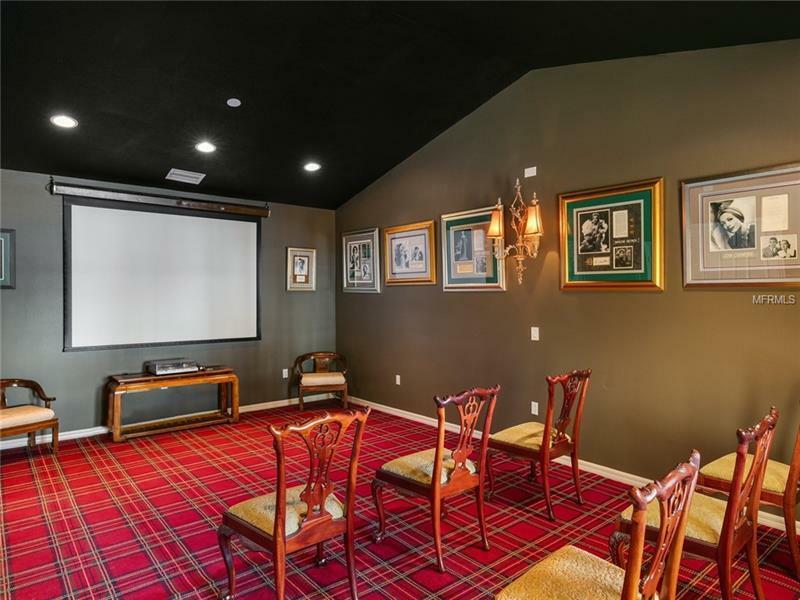 In the family gathering areas a stone fireplace shares the media wall with a built in entertainment center overlooking expansive lakefront vistas. 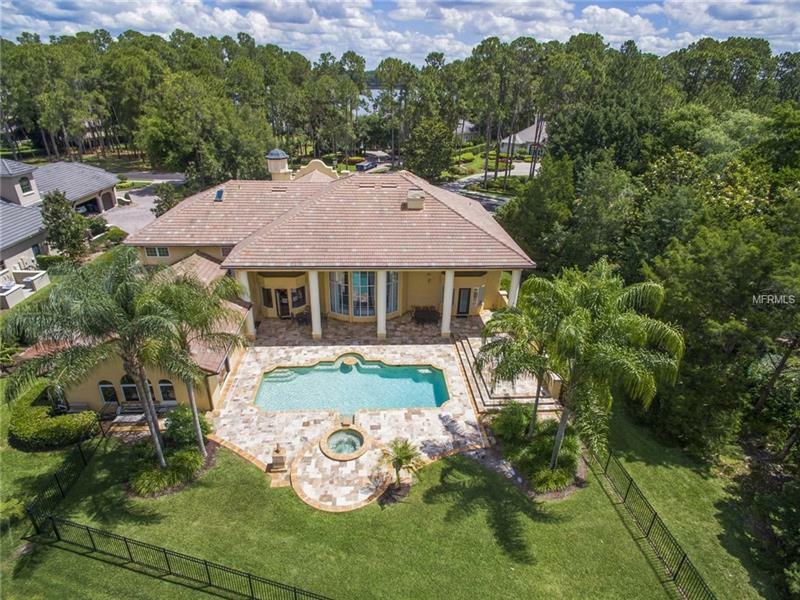 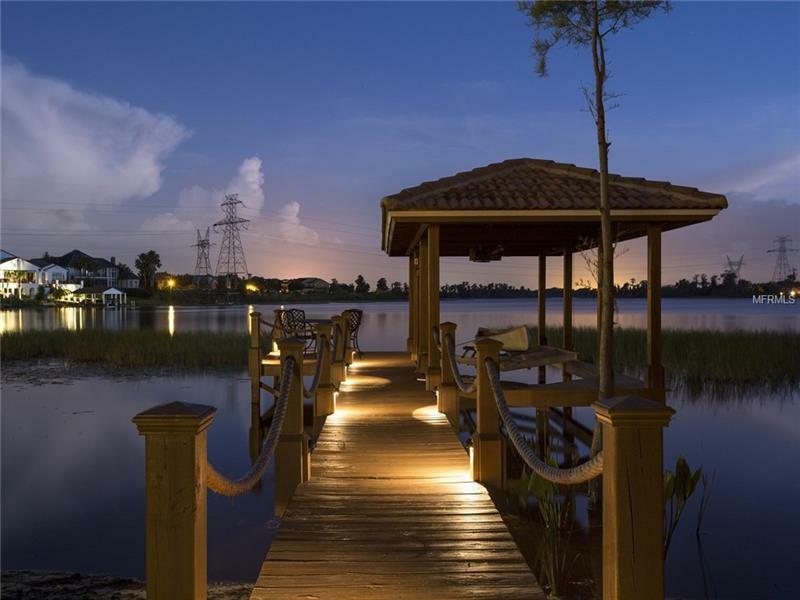 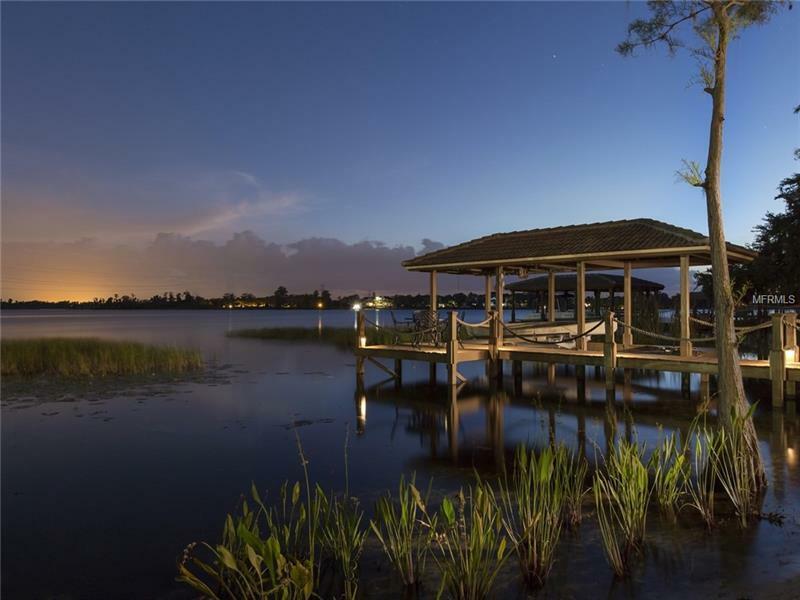 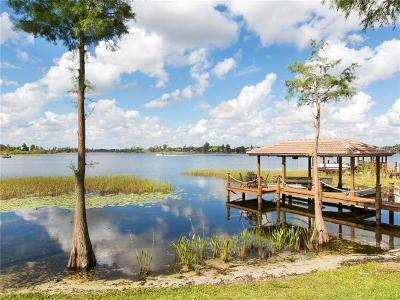 Entertain family and friends outdoors in true Florida style, free form pool and spa overlook the boat dock with lift. 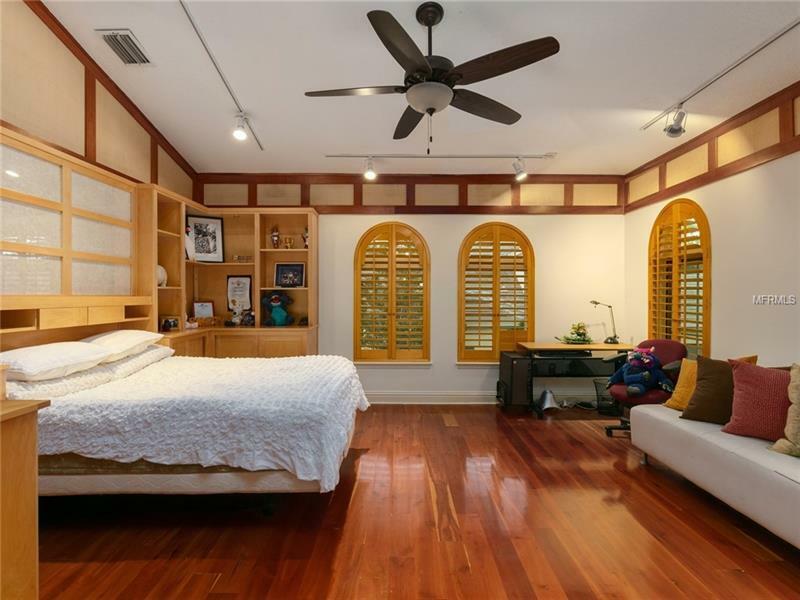 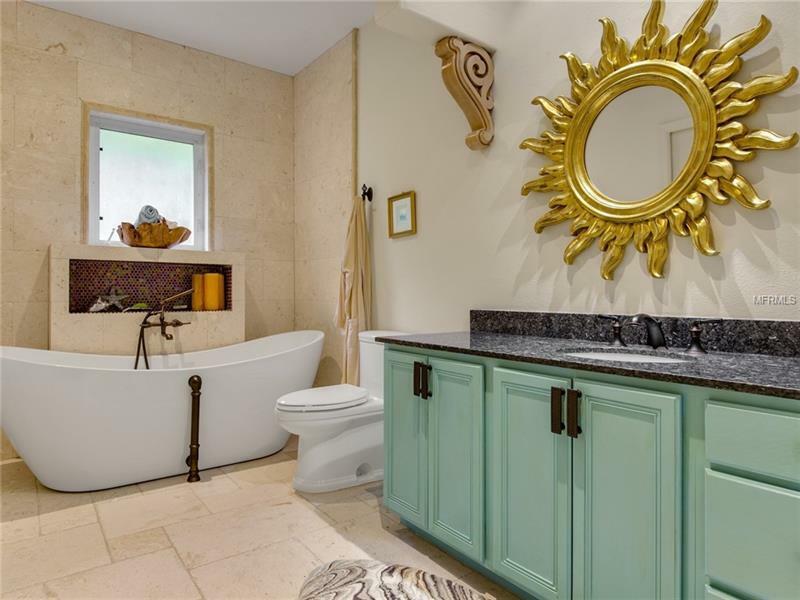 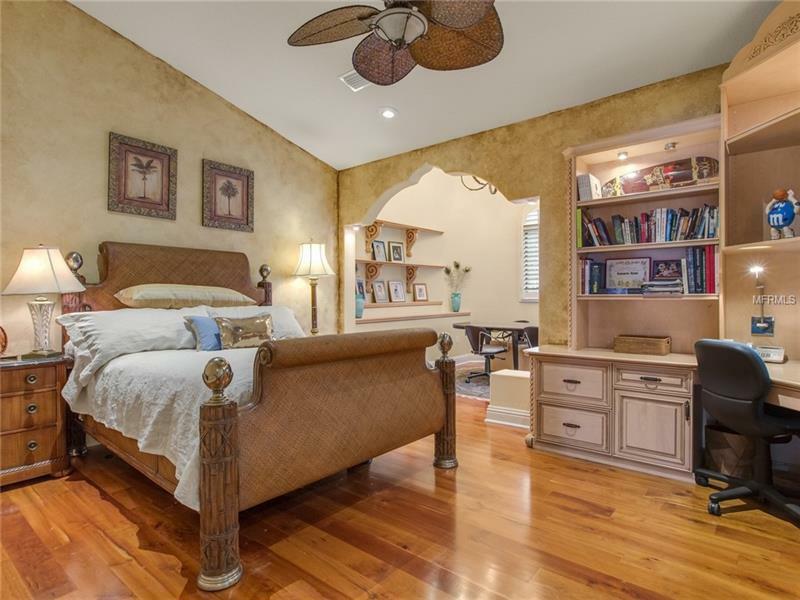 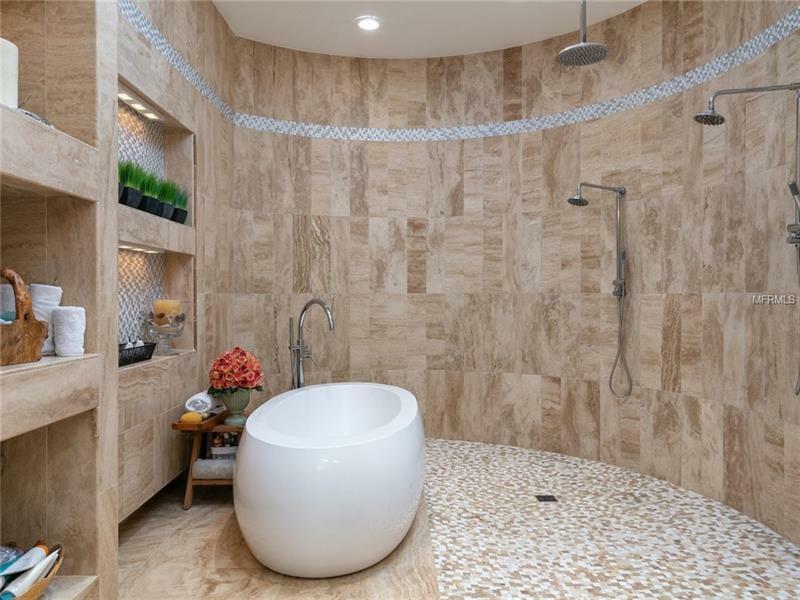 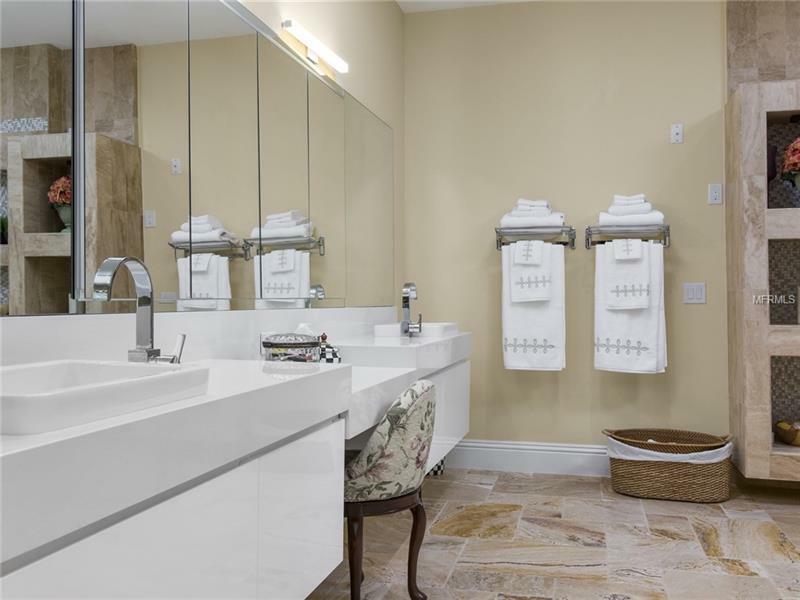 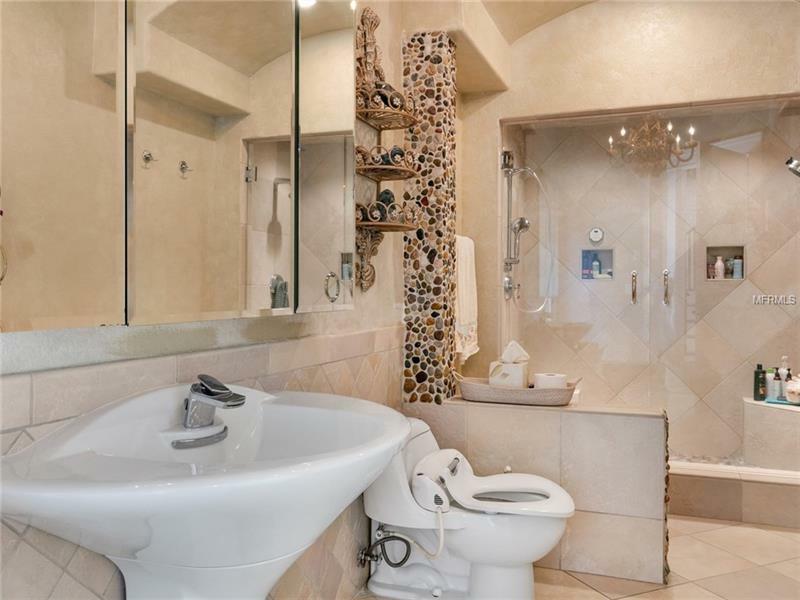 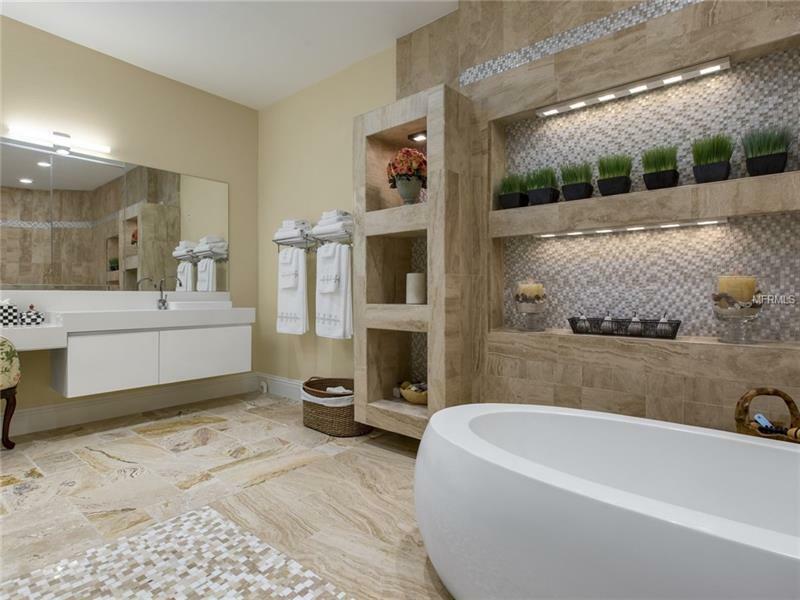 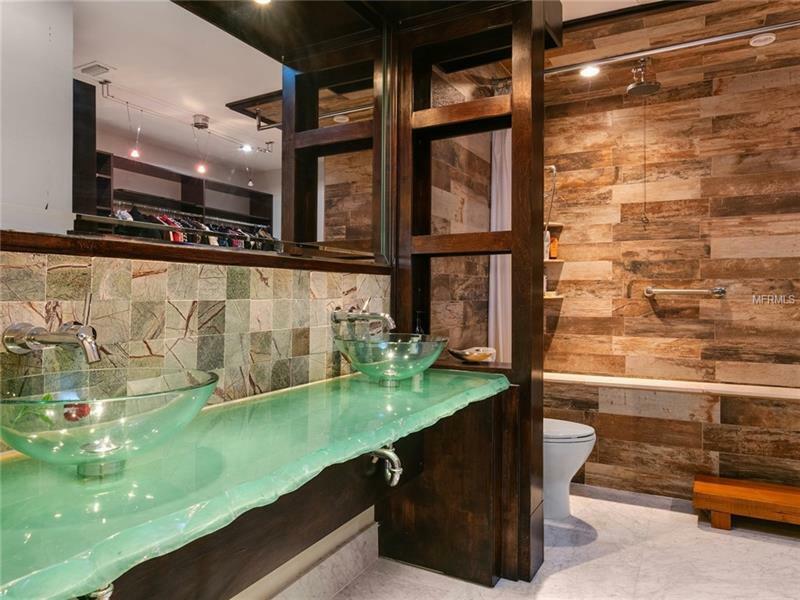 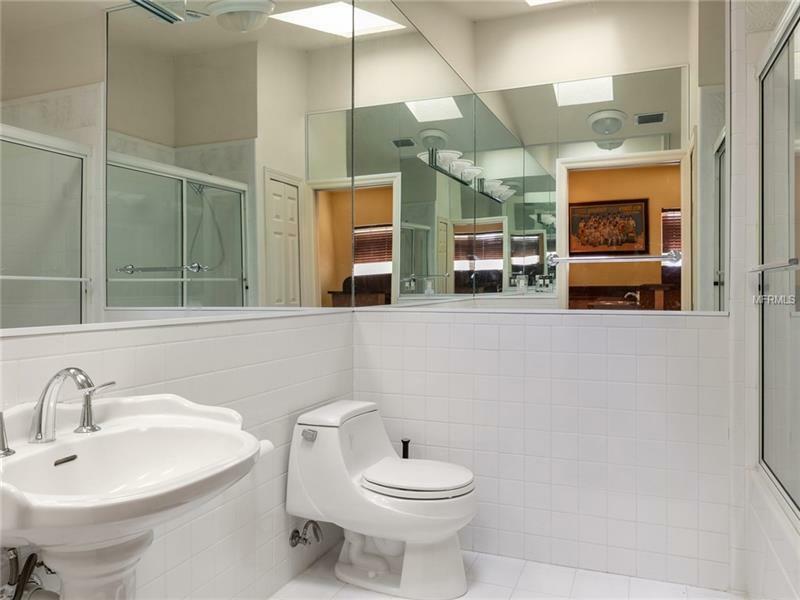 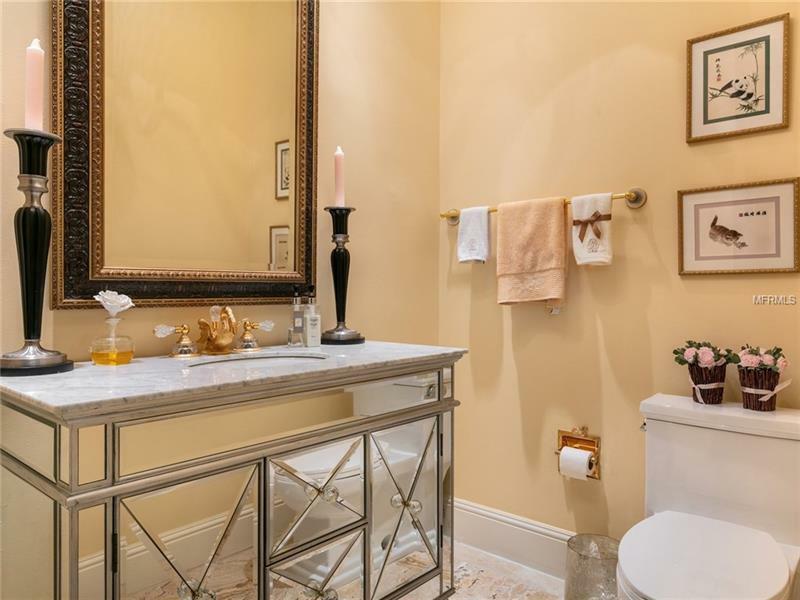 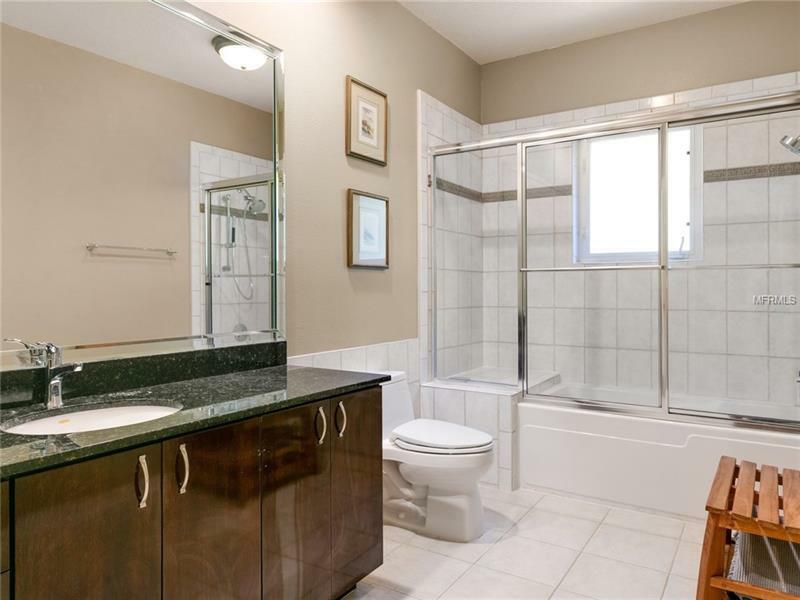 The master suite is private and updated master bath. 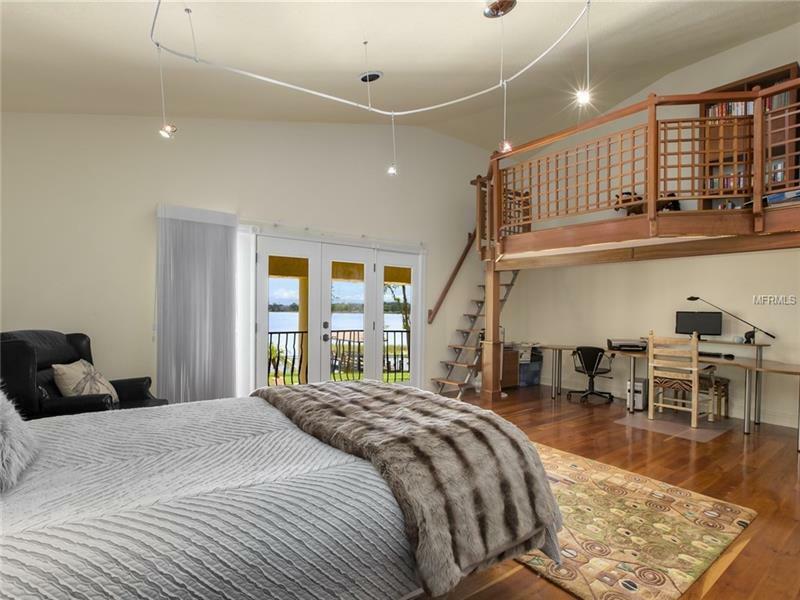 The secondary bedrooms are large and ensuite. 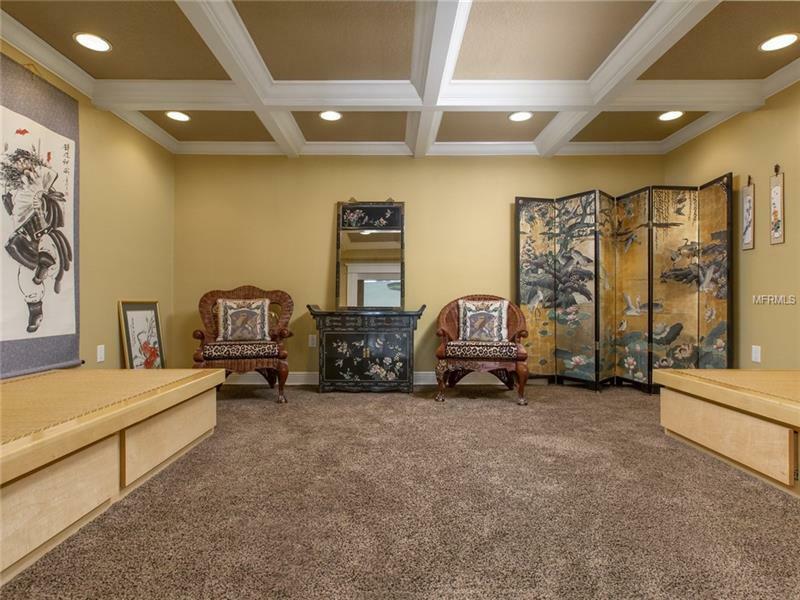 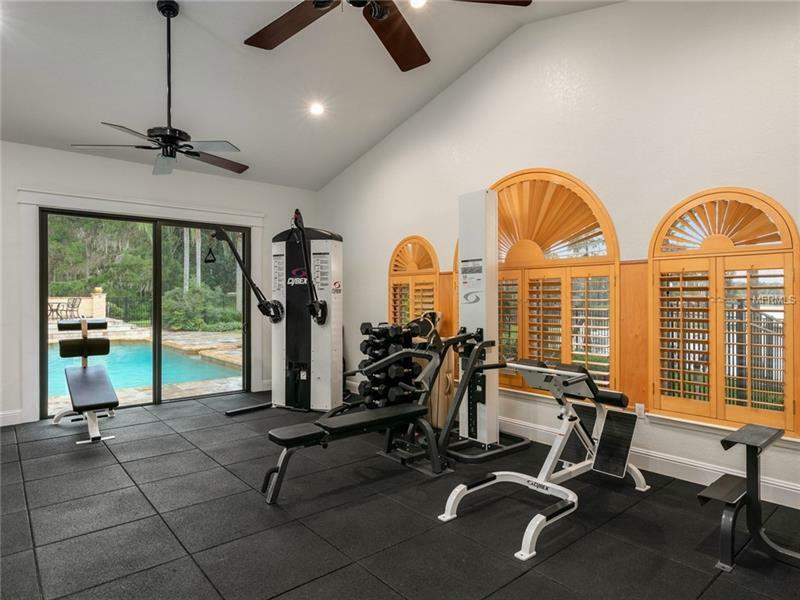 Additional features include four car garage, home theater, and large complete home gym.